Academic and Career Advising is a developmental process of combining your career goal with your academic plan. By taking your career goal into consideration, this provides you with the tools to make appropriate academic choices. 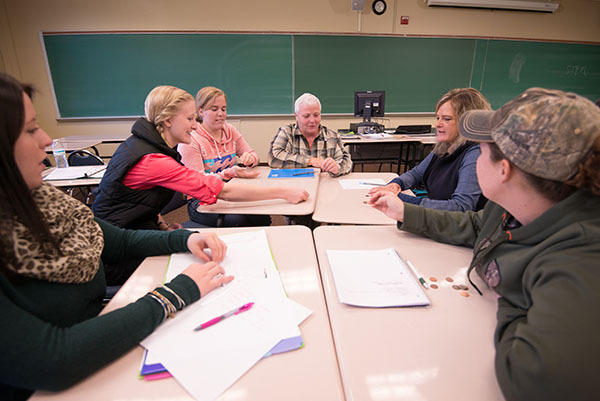 Academic Advising – Academic Advising at the University of Maine at Augusta has been designed to enhance, facilitate, and promote student success. Whether you are changing your major, setting goals, or seeking resources, we are available to assist you. Career Connections – Assisting students with exploring career areas, creating career goals, choosing a major, and developing job search skills. Prior Learning Assessment and Testing – Offering assessment of prior learning via academic placement testing, CLEP, DANTES, NLN, departmental challenge exams, and the portfolio assessment process.